Paris, époque Louis XVI, vers 1780. DIMENSIONS: H. 76 cm. (30 in.) ; D. 32 cm. (12 1⁄2 in.). 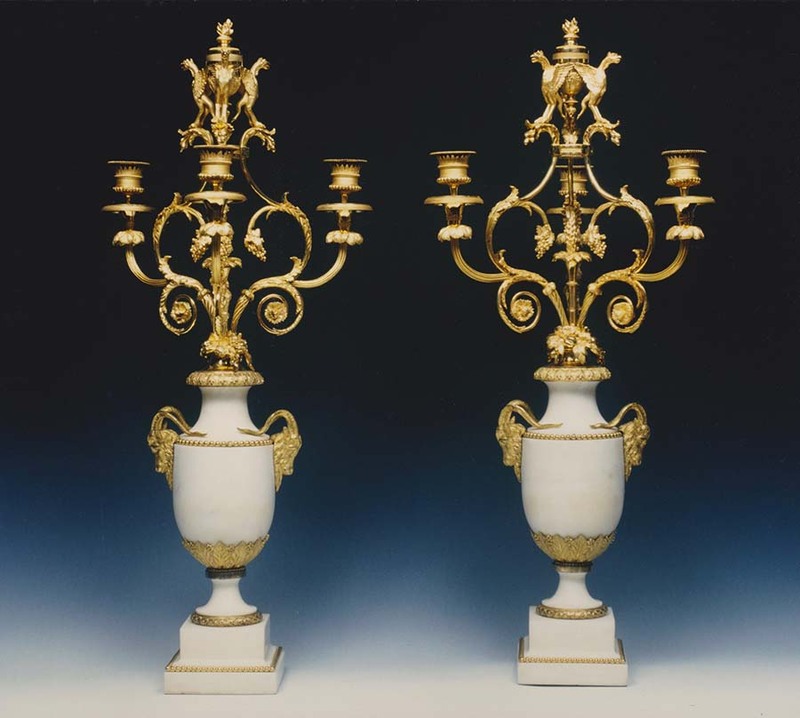 A pair of Louis XVI three-light ormolu and white marble baluster-shaped candelabra, each with ram’s head handles and edged by rims of beads; they support a bunch of flowers including three light branches ornated with foliated scrolls, vine leaves and topped by a burning urn with three griffins; the piedouche is edged with a frieze of laurel leaves and the square base is decorated with a rim of beads.